“Sanketsu Shoujo” Sayuri (Suffocating Girl Sayuri) is a singer-songwriter who resides within both the 2-dimensional world and the 3-dimensional world in parallel, putting her in a 2.5-dimensional world. Her new single, “Moon & Bouquet” is currently featured as the ending theme in TV anime Fate/EXTRA Last Encore. 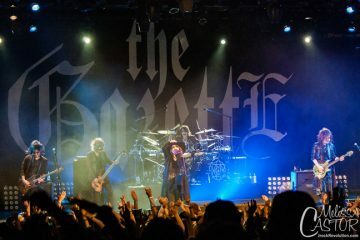 The single has topped Japan’s iTunes single rock chart, and charted #3 in top singles chart. The music video instantly received over 10,000 retweets, 20,000 likes, and as “Moon & Bouquet” trended, it came 2nd in Twitter’s trending chart. Sayuri’s official Twitter account gained over 1,300 followers through the release, and her account surpassed 150,000 followers. The single and music video for “Moon & Bouquet” is currently available worldwide. “Moon & Bouquet” serves as an opening song to the beginning of a second chapter in Sayuri’s career, making it a must-listen. Sayuri made a groundbreaking debut with her single “Mikazuki” in August of 2015. Her debut album, Mikazuki no Koukai topped Japan’s Oricon daily album chart the day it came out, and charted #3 on the Oricon weekly album chart. Her music and actions have gained a strong fan base mainly among people in their 10’s-20’s. By the “Sanketsu Sedai (suffocating generation)” and Sayuri relating to one another, the “Sanketsu Shoujo” came to new consciousness and emotions through the connection between herself and others. This synchronized with the world of Fate/EXTRA Last Encore, creating “Moon & Bouquet”. Where do I belong? What is my “world”? 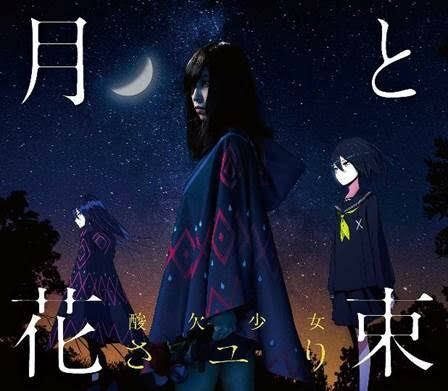 Sayuri has stepped forward in finding the answers and reasons to live deep within her consciousness; corresponding to the synchronization of what lies beyond “Mikazuki” with the relationship between servant Saber and protagonist Hakuno in Fate/EXTRA Last Encore, making the song a beginning to the second chapter in Sayuri’s career. 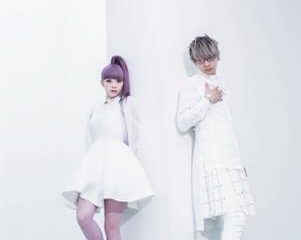 She has stood by her fellow “Sanketsu Sedai (suffocating generation)” with her songs, and through resonating with them, “Moon & Bouquet” was born; symbolizing a new beginning for Sayuri. The song synchronizes with the world of Fate/EXTRA Last Encore and shows us what lies beyond “Mikazuki”. Experience the new beginning and world of Sayuri with all five senses. Sayuri is a 21 year old singer-songwriter who uses her voice and acoustic guitar in both the 2-dimentional world and 3-dimentional world simultaneously; making her a “2.5 parallel singer-songwriter”. She expresses herself as a “sanketsu shoujo”, representing the “Sanketsu Sedai (suffocating generation)”; a generation that prides in having unique perspective and values but at the same time, suffers from insecurity towards it. Sayuri lives partly in the 2-dimentional world and partly in the 3-dimentional world, expressing herself uniquely through social networking sites/the Internet in the 2-dimentional world, and expressing herself mainly though live performances in the 3-dimentional world. She floats on the boarder of the 2-dimentional world and 3-dimentional world, making her an artist of the 2.5-dimentional world. Sayuri’s lyrics are highly relatable to the young generation in their 10’s-20’s who feels suffocated daily as they try to find who they are, and try to live true themselves. To them, Sayuri’s voice stands by their heart and gives them hope as it gently cures their loneliness. She has paved her way as an artist for a new generation. Sayuri made her major debut with “Mikazuki”, released on August 26th, 2015 as the ending theme to FujiTV’s “Noitamina” Anime Rampo Kitan: Game of Laplace. Her music’s raw beauty linked with the world of the anime made her debut a major hit. She released her second single, “Sorewa Chiisana Hikarinoyouna” on February 24th, 2016 as the ending theme to FujiTV’s “Noitamina” Anime ERASED. It charted at #7 in Oricon charts, and hit #3 on Japan’s iTunes single chart. She then released a digital-only single, “Ru-Rararu- Ra-Rurararu-Ra-“on June 24th. Her 4th single, “Furaregaigirl” was written and produced by Youjiro Noda of the band RADWIMPS; it was released on December 7th. It became her second single in a row to top Japan’s iTunes single chart. Her 5th single, “Parallel Line” stayed at #1 on Japan’s iTunes single chart for 4 consecutive days since its release date. It ranked at #10 on Oricon weekly single charts; breaking her personal record. Her first album Mikazuki no Koukai was released on May 17th, 2017 and topped the Oricon’s daily album chart on its release date. It charted at #3 on Oricon’s weekly album chart. 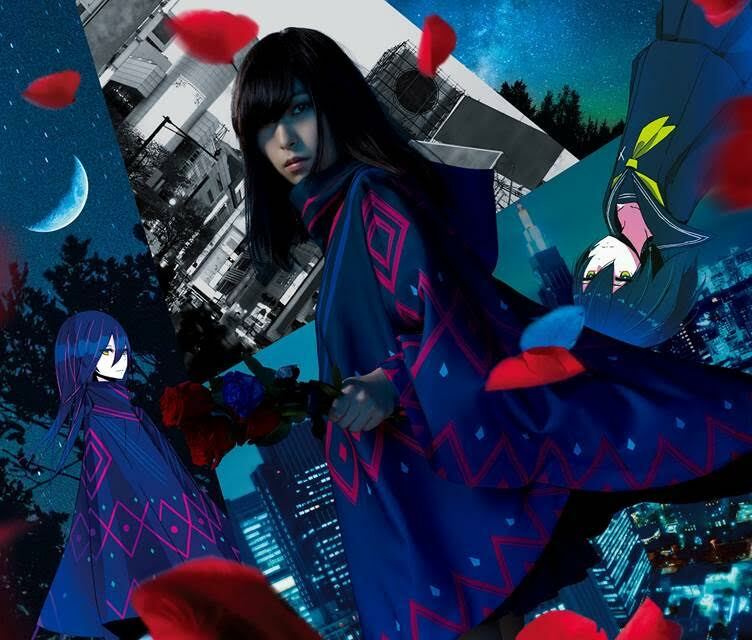 Sayuri released her 6th single and ending theme to anime Fate/EXTRA Last Encore, “Moon & Bouquet”, on February 28th, 2018. 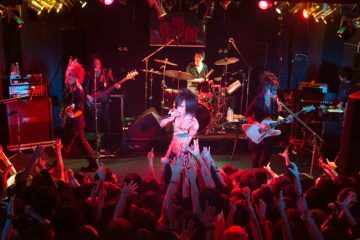 Her music and existence is creating “Sayuri maniacs” all over the world. She is a neo-dimensional artist to definitely watch for.